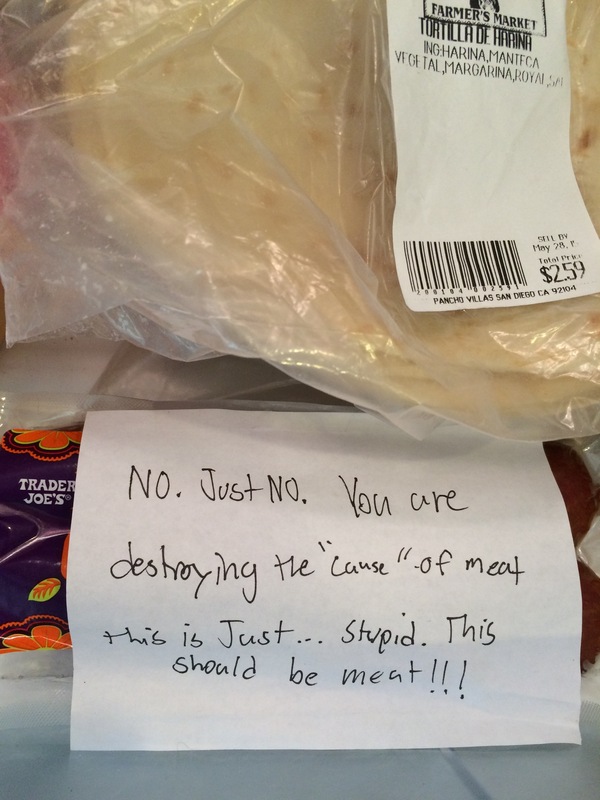 A Vegan VETO… So sue me for trying! I picked up a new item from Trader Joe’s after trying a sample in the store. My children have vetoed it. It seems that they have strong opinions of which kitchen ingredients I am allowed to experiment with… or not. 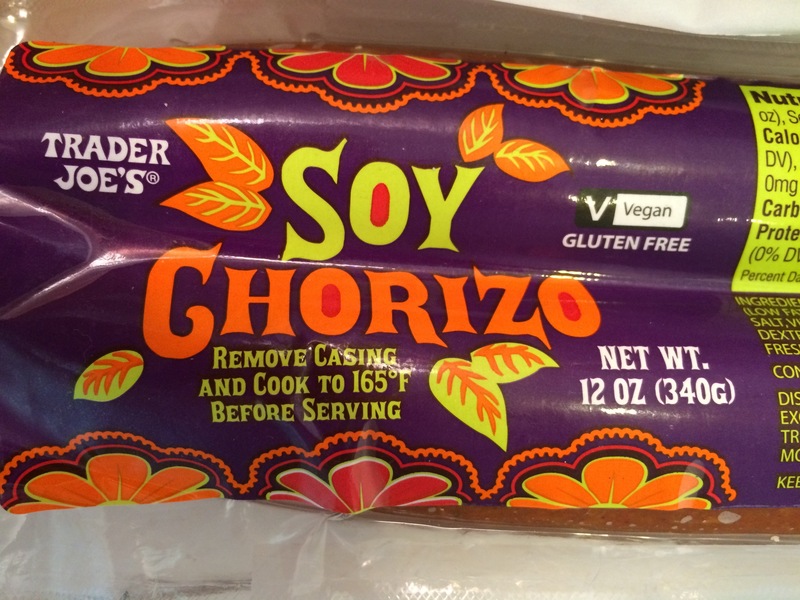 Evidently, chorizo is sacred to them. Previous Previous post: Congratulations, 8th Grade Class of 2015. Now, Go Get ’em! Next Next post: Wine to Wrap-Up a Hectic Week. Or Two.